Robin Walker, former partner of Michael Scott and subsequently partner in Scott Tallon Walker, which has remained one of Ireland’s leading architectural firms since its foundation in 1974, was unique in that he is the only Irish architect to have worked for le Corbusier and studied and subsequently taught under the direction of Mies van der Rohe. Robin Walker was born in Co. Waterford, Ireland, in 1924. 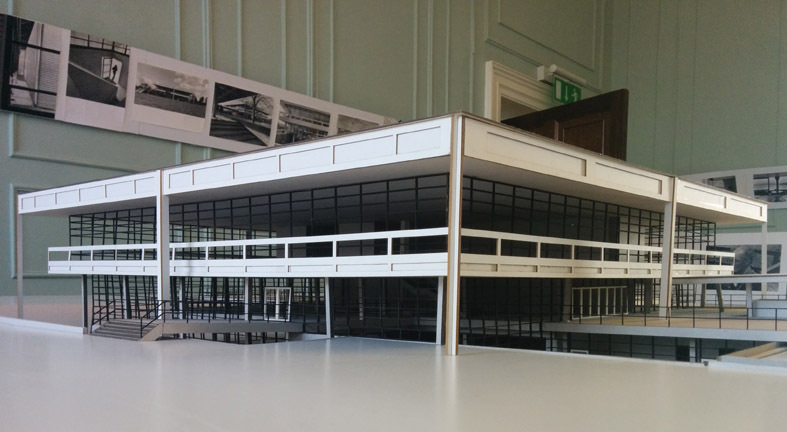 He graduated from the School of Architecture, University College Dublin, in 1946. Following graduation he went to Paris, where he worked at le Corbusier’s studio in the rue de Sèvres in 1947. 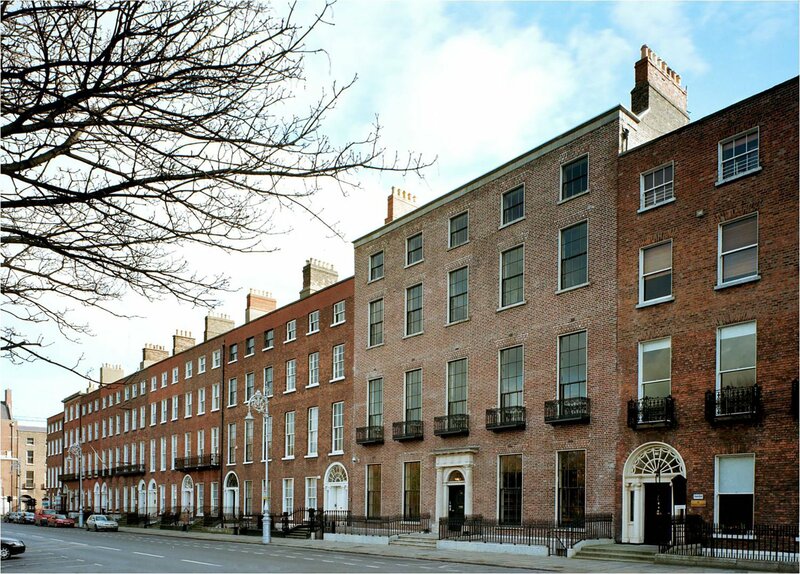 He then started work in Michael Scott’s office in Dublin, where he was to work for various periods over the next 10 years, principally on the Busáras building alongside Patrick Scott, Kevin Fox, Wilfie Cantwell, and Patrick Hamilton, among others. During the 1950’s he made several journeys abroad, including working as an architect in Africa with his colleague, Erhard Lorenz, a Danish architect who had moved to Ireland with Arup’s engineers during the course of the Busáras project. 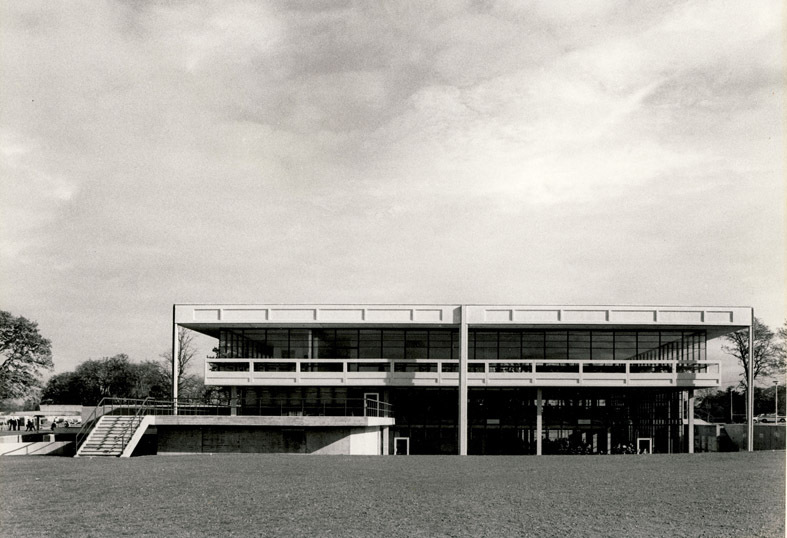 In 1956, he was awarded a scholarship to the post-graduate programme in architecture and urban planning at the Illinois Institute of Technology, which was Ludwig Mies van der Rohe’s base in America. 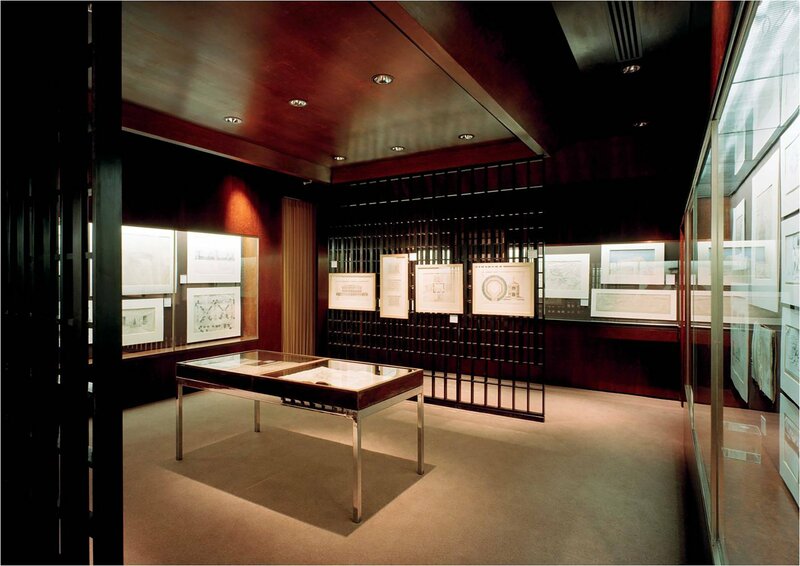 Here, he was tutored by several former Bauhaus professors, including Mies, Ludwig Hilberseimer and Walter Peterhans. After completing his thesis for a regional plan for the east coast of Ireland, he stayed in Chicago for a further year to teach in the IIT and to work in the Skidmore Owings and Merrill office. On his return to Ireland in 1958, he quickly became involved in Michael Scott’s growing practice, where he was to apply his Chicago experience in an Irish context. He built Ireland’s first steel curtain wall for the Bank of Ireland building in Suffolk Street, [demolished in 2005], and worked on public buildings such as the Abbey Theatre, the Cork Opera House, the grandstand at the Curragh racecourse, and the Bord Fáilte headquarters, which was completed in 1961. In the same year, Walker and his colleague Ronald Tallon became partners in Michael Scott and Partners, which later, in 1974, changed to Scott Tallon Walker, with Niall Scott joining as a partner. From the early ‘60’s until the late ‘70’s Scott Tallon Walker enjoyed a prolific period of work. Among the Walker buildings that were part of this movement were Wesley College [highly commended RIAI Triennial Gold Medal], the St. Columba’s College Science Building, the Maynooth Arts Faculty, the Leeson Park Wesleyan complex, the PMPA headquarters, and the Restaurant Building at U.C.D., for which he won the Triennial Gold Medal of the RIAI for the period 1967-’70. 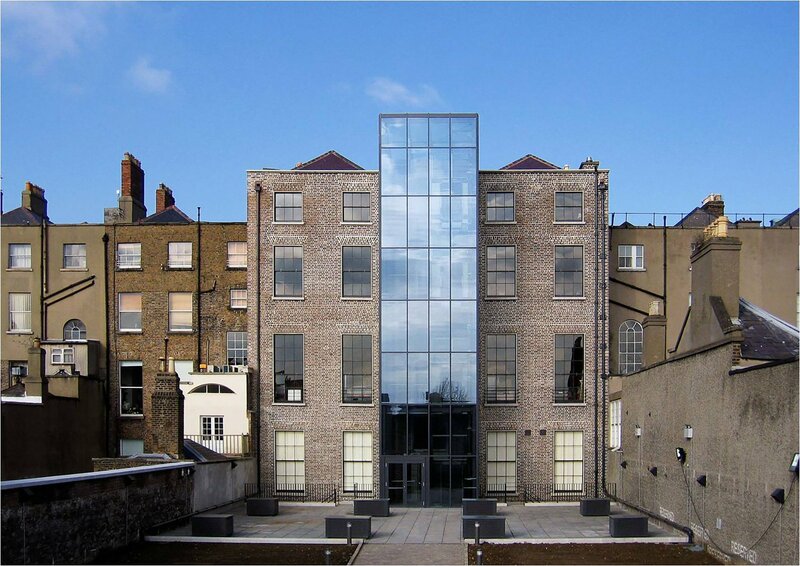 During this time, Robin Walker also designed four private houses – his family home at St. Mary’s Lane in Dublin; a holiday villa for his family at Bótharbuí in Co. Cork, which was included in the Irish Architecture Foundation exhibit at the Venice Biennale of Architecture, 2008; a private mews house in Dublin at No. 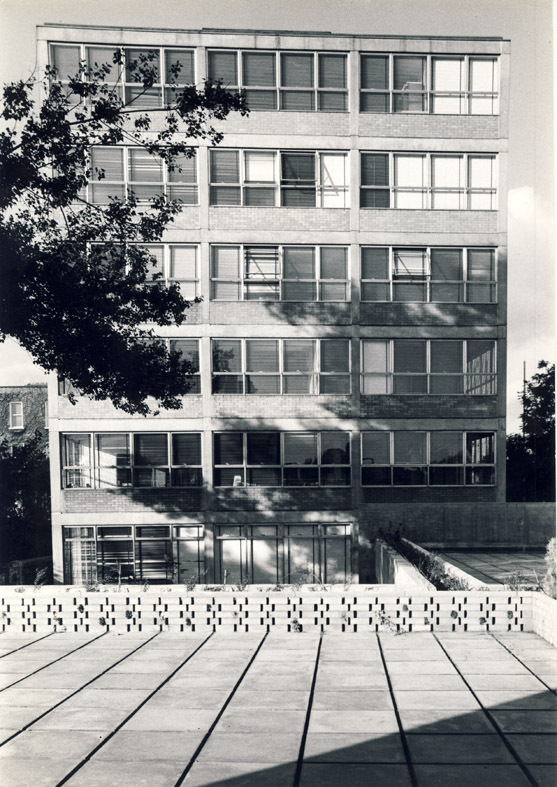 58 Heytesbury Lane; and the O’Flaherty House in Kinsale, Co. Cork, which also won an RIAI Triennial Gold Medal for Housing for the period 1967-‘70. Walker combined his practice with the teaching of architecture, also frequently giving public lectures. Following retirement from practice in 1982, he carried on extensive research into Georgian Dublin and its relationship to modern architecture. He served as an inspector on An Bord Pleanála in the mid-1980’s, and continued to draw, to exhibit his work and to write about architecture until his death in 1991. Robin Walker is one of Ireland’s most eminent 20th century architects and the influence of his work continues to grow in the present day as the subject of constant study, survey and analysis by all of the national Schools of Architecture. This exhibition was created and curated by Simon Walker.